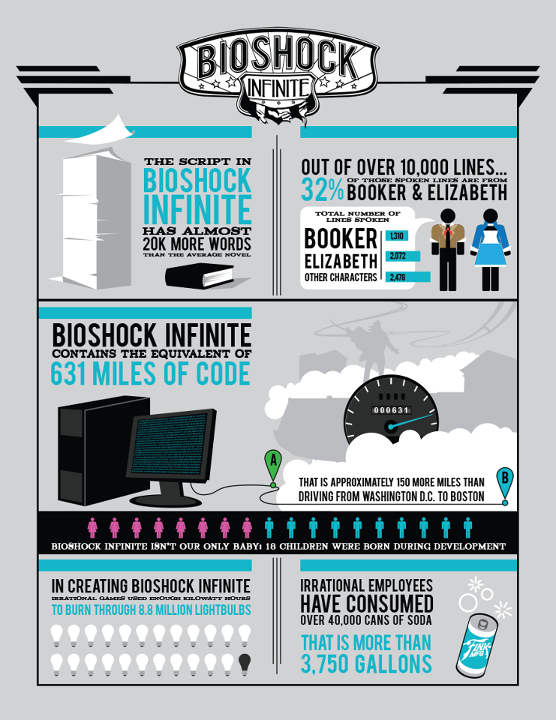 How many miles of code went into producing Bioshock Infinite? You may have heard there's a new Bioshock game on the way. It's called Infinite and here's an infographic that was put together by the production team to show what kind of effort has gone into making the game. I love the statistic about how many miles of code have gone into it! I also love how 18 children were born during the game's development!